Brush the fillet with olive oil. 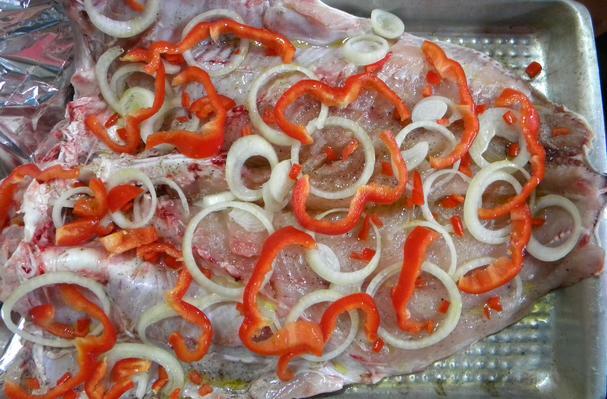 Spread sliced onions and red bell pepper over the fillets. Bake in the oven for around 15-20 min. Serve with white rice and black beans.